Many manufacturers aren’t currently taking advantage of the huge pool of potential customers within their reach. By targeting, engaging with and influencing these prospects, manufacturers can build and nurture relationships to win new customers and increase revenue. Inbound marketing goes beyond the traditional techniques of cold calling, print advertising and trade shows, and while these practices can work, an online strategy will only compliment their effectiveness. Unlike interruptive traditional methods, inbound marketing is about attracting the right type of customer to your business, pulling them towards you, instead of pushing yourself towards them. Rather than forcing your product or service on people, you make it easier for them to find you at the right time. (Read more about inbound marketing). 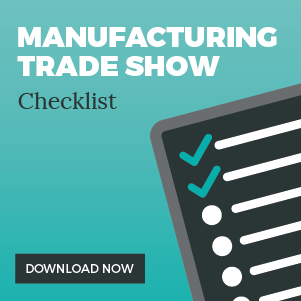 Manufacturing firms tend to have many different audiences and industries they want to appeal to and broadcast their business message to, including pharmaceutics, food, and retail. Each of these target audiences will have different pain points and will benefit from different content and resource offerings. Inbound marketing enables tailored campaigns for each persona, with targeted blogs, content offers, social posts and automated emails to attract and nurture the relevant audience. Has your website traffic slumped? Or maybe you’re driving high quantity but poor-quality visits? The aim of marketing is to attract the right type of people to your business with the hope of converting them and eventually closing the deal. Traditional marketing focuses on reaching out to prospects, whereas inbound subtly draws these potential customers to you. Creating content that focuses on your target customers pain points and the solutions, populated with the relevant keywords will help your site rank and appear in front of eager prospects, driving people back to your website. When potential customers are in the early stages of their buying process, it’s important that your brand is visible online. In a highly competitive manufacturing market, it’s crucial to build your reputation and convince your target audience to choose you over others. Creating inbound content will help establish your company as an industry expert and generate trust from potential customers. Manufacturing is filled with technical jargon and buyers will research in depth before purchasing expensive products. Content such as blogs, info-graphics, eBooks and video is a great way to educate and build awareness around your brand. Lead generation involves attracting suitable visitors to your website and converting them into interested prospects. You want to make sure you attract the those who will benefit from your products and services, otherwise your marketing efforts will be wasted. Manufacturing lead generation can be challenging with watchful buyers thoroughly researching before making a high value purchase. On the same note, leads gathered in the industry are extremely valuable due to their expensive nature. When prospects arrive on your content through inbound marketing, prominent CTA’s linking to valuable content entice users to input their email address in return for your offer. Upon conversion, it’s unlikely that a lead will be sales ready. In fact, it can be long process to bring prospects to a point where they’re ready to make a purchase, especially for high value products and services in the Manufacturing industry. Each new lead will be at different stages in their buying journey, with some closer to a decision that other. Most prospects will wait a long period before making a purchase. Inbound marketing helps move leads along this journey, using content that informs, educates and maintains their attention. Better still, inbound can automate this process, allowing you to focus your efforts elsewhere. Targeted emails can be automated to deliver valuable resources such as case studies, eBooks, free consultations and trials, to subtly convince leads that you can meet their requirements. In a world where most of your potential customers are searching online, having an established presence can only be to your manufacturing firms advantage. Inbound marketing enables you to attract valuable leads to your company, in a non-intrusive manner that traditional marketing methods often fail to achieve. Businesses that cannot be easily found when their target market begin their buyer research, will undoubtedly be left behind.